Back cover blurb: What did she see? It’s been ten long months since Anna Fox last left her home. Ten months during which she has haunted the rooms of her old New York house like a ghost, lost in her memories, too terrified to step outside. Anna’s lifeline to the real world is her window, where she sits day after day, watching her neighbours. When the Russells move in, Anna is instantly drawn to them. A picture-perfect family of three, they are an echo of the life that was once hers. But one evening, a frenzied scream rips across the silence, and Anna witnesses something no one was supposed to see. Now she must do everything she can to uncover the truth about what really happened. But even if she does, will anyone believe her? And can she even trust herself? Every now and then a book comes along that you just want to read and read, and read again because you are sitting there wondering what on earth just happened. The Woman in the Window is one of those. Tipped to be one of the biggest thrillers of 2018, for that reason alone, you know it's going to be a novel that divides opinion, but I absolutely loved it. Anna Fox hasn't left her home for ten months. She is suffering from agoraphobia, post traumatic stress and anxiety. Her husband and daughter have gone, she has only her tenant David, her online forums, old movies and the street for company. Anna likes to watch her neighbours through her window. She has a clear vantage point of the whole street, where she can see literally everything. The Russell's across the road, have just moved in and are a welcome distraction for Anna. 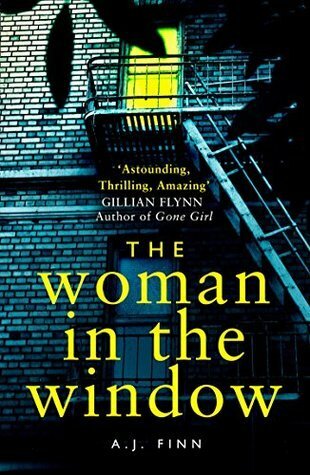 The Woman in the Window is a twisty, complex thriller and just as you think you have it sussed, something else is thrown into the mix. I was kept guessing literally the whole way through and couldn't have it enjoyed it any more. This is a difficult book to review without giving too much away, so I'll just say this - I read a lot of this genre and didn't see the ending coming, and if I was still dishing out star ratings, this one would be getting a bit fat five from me. 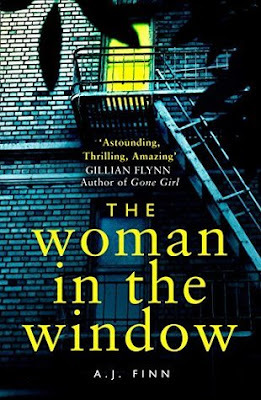 The Woman in the Window is available from 25 January 2018.